The Queen and the Duke of Edinburgh undertook a day of engagements in the City of London, attending a reception to mark the 800th anniversary of the Royal Watermen at Watermen's Hall and then visiting Lloyds of London to commemorate the market's 325th anniversary. Click here for a video, or here for an article from the Daily Mail. 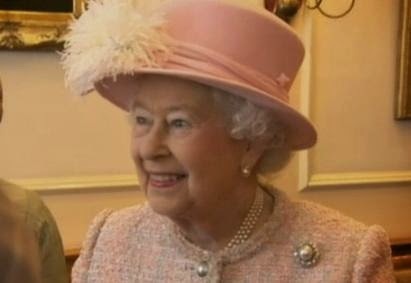 UPDATE: The following day, March 28, the Queen held an investiture, but per usual it seems no brooch was to be glimpsed.